Hi guys, welcome to DMC World! Great to have you and thank you for taking the time to chat to us! Hey hey, and thx for having us, it’s a pleasure! For those of our readers who may not have heard of you, please can you tell us a bit about yourselves? We’re 2 incredibly handsome musicians (laughs), one based in Berlin and one in Los Angeles. We’ve known each other for quite some time, and last year finally decided to launch this project together. You’ve just released your debut single ‘Night People’ with Amanda Fondell, congratulations! Can you tell us a bit about the record and the creative process behind it? Thx! Yeah it feels great to see NIGHT PEOPLE develop a life of its own out there! We wrote the core of the song with Amanda in L.A. We knew right after the first session that “Night People” has a strong vibe to it, so we finished it via video call between LA, Berlin and Stockholm. What was it like working with Amanda? Did you guys spend a lot of time in the studio together? Amanda has been in our musical universe for a while. She’s amazingly talented, and such a sweet soul as well! We did 2 sessions in LA, with just a Wurlitzer piano and Amanda singing in the room. Once it became clear that FLY BY NITE would be the home for our tune, we finessed some of the lyrics and top-lining over the phone. Once you’ve created music with a person in the room and got to know them a bit, remote collaboration can actually work quite well! 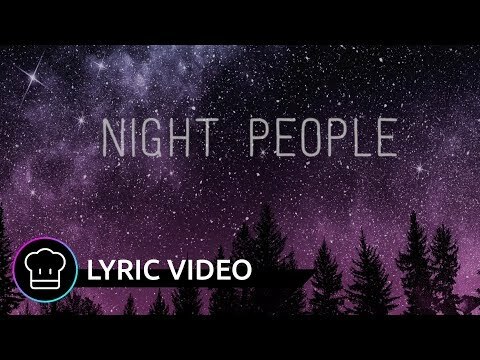 Is Night People representative of the type of music you’ll be releasing moving forwards? Absolutely. Not necessarily in a labelled genre sense though. The main criteria for us is that we need to love and be passionate about what we put out there. We feel that everyone has that responsibility for their own project. Of course tast shifts and undergoes changes, but on the whole our 2 creative likes and dislikes will keep things consistent. What were you guys doing before you started the Fly By Nite project? We wrote and produced records for other artists. Which we both still do and love. Who or what were your biggest musical influences growing up? Robin: I listened to a lot of Hip Hop and Soul/Funk growing up, but also a lot of Grunge, and a fair amount of classical music. TNJ: I also grew up listening to hip-hop and R&B, but also soon discovered house music and more electronic genres, due to having older friends who were local clubs DJs. Any touring planned further down the line? Further down the line possibly, but for now we’re focussing on writing and producing more material and will be spending more time in our studios. Finally, what can we expect from you guys over the course of 2019? We’re constantly working on new stuff and will share some music with you guys as soon as we feel it’s ready. In the meantime, we hope everyone enjoys NIGHT PEOPLE as much as we do. We’re extremely proud of it, and thankful for the love it’s received so far!